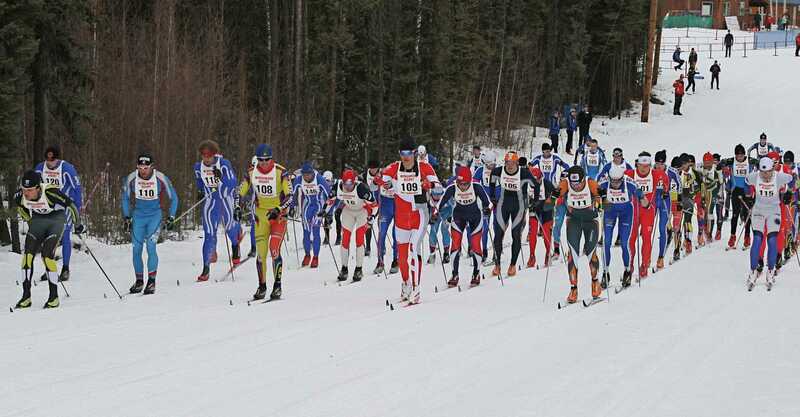 There are plenty of captivating spectator sports to cheer for here in Fairbanks year-round. Everything from the Fairbanks Ice Dogs junior hockey team to rambunctious roller derby teams and world class dog mushing to the amazing cultural athletics of the World Eskimo-Indian Olympics can be seen in Interior Alaska. Another popular team sport is baseball, particularly when the Alaska Goldpanners start their historic solstice game at 10:30pm without artificial lighting on the longest day of the year. For exciting collegiate hockey, basketball, volleyball and rifle action, join in with locals and watch the rousing hometown University of Alaska Fairbanks Nanooks. Nanook is a derivation of “nanuq,” the Inupiaq word for polar bear. Golf and disc golf courses, a curling club, volleyball and tennis courts, skateboard parks, even yoga and Tai Chi – if there’s an activity you enjoy, odds are you can enjoy it here in Fairbanks. Bask in the midnight sun while playing 18 holes of golf and don’t be surprised if a moose or fox crosses the fairway. Try your luck at the farthest north disc golf courses or sign up for a yoga class, the active visitor to Fairbanks will never be at a loss for fun, physical ways to explore and enjoy Interior Alaska. Curling is a sport in which players take turns sliding granite stones across a sheet of ice towards a circular target with four concentric circles marked at the opposite end in an effort to score the most points. There is a lot of strategy involved which gives curling the interesting nickname “chess on ice.” The Fairbanks Curling Club was founded in 1905 and is the oldest organized sporting group in Alaska. They provide recreational opportunities for all curlers and are dedicated to the promotion and coordination of the sport of curling in the Fairbanks community. With events from late September through early April, the Fairbanks Curling Club offers numerous opportunities to observe or participate in curling games. If you’ve never curled before, take your turn on the ice during the Rookie Spiel or if you’re more experienced, participate in one of the other annual bonspiels. If you’d rather relax and observe, watch nightly league games or any one of the many state, national or international events from the heated spectator gallery.